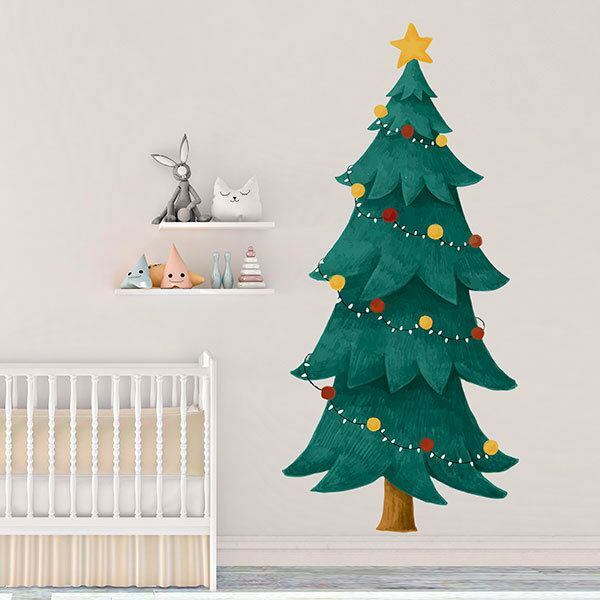 Kids wall sticker Classic Christmas spruce. 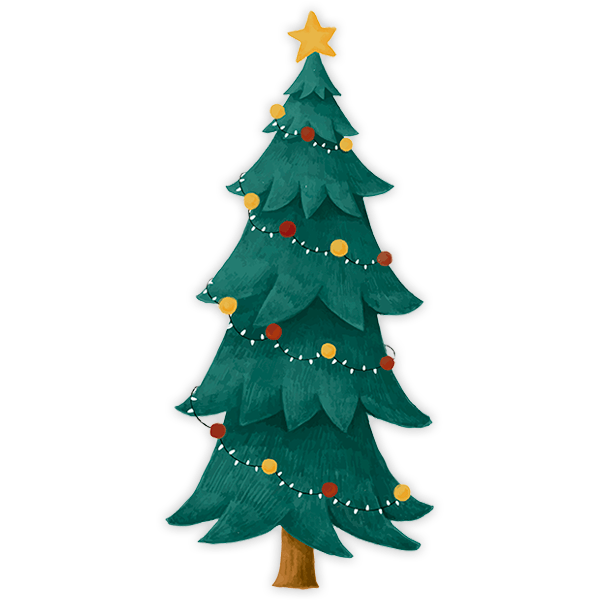 This design is an illustration of a Christmas tree, children's story style. It has a decoration where it alternates balls of red and yellow colors along with a string of lights, in the top of the fir could not miss the yellow star. Size: 20 x 55 cm. 7.09 x 15.75 in. 9.06 x 19.69 in. 11.02 x 23.62 in. 12.60 x 27.56 in. 14.57 x 31.50 in. 16.54 x 35.43 in. 18.11 x 39.37 in. 20.08 x 43.31 in. 21.65 x 47.24 in. 23.62 x 51.18 in. 25.20 x 55.12 in. 27.17 x 59.06 in. 29.13 x 62.99 in. 30.71 x 62.99 in. 32.68 x 70.87 in. 34.65 x 74.80 in. 36.22 x 78.74 in. 38.19 x 82.68 in. 39.76 x 86.61 in. 41.73 x 90.55 in.